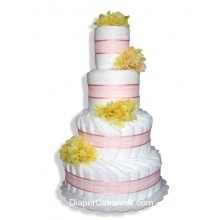 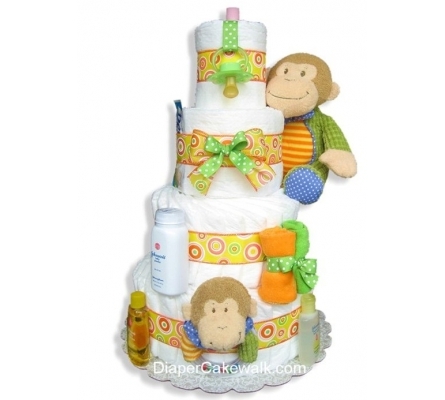 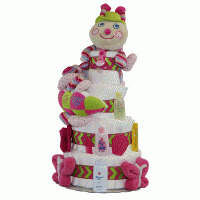 PLEASE NOTE: The Wind-up musical plush Monkey on this diaper cake has been discontinued by the manufacturer. 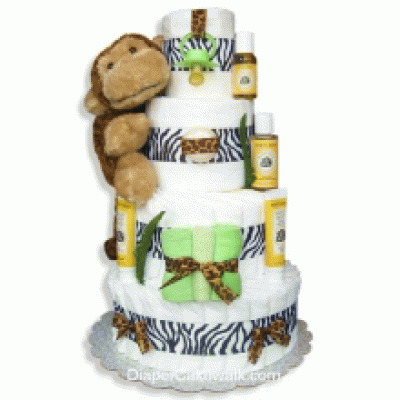 We are now using the mango monkey Baby Blanket - 17"
Bright, cheerful, and certain to please the parents-to-be! 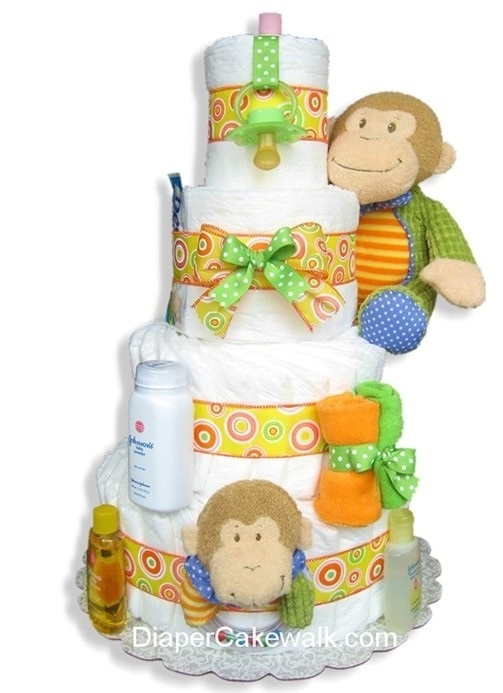 This adorable pair of colorful monkeys is a no-miss way to be the talk of the baby shower...even if you can't be there. 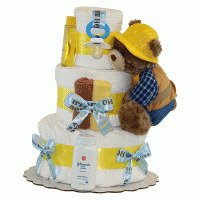 An especially unique and practical gift when mom and dad don't know if they are expecting a boy or a girl. 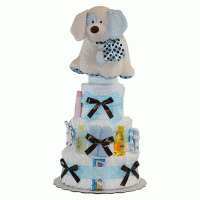 Baby Dimples Blue 3 Tiers Diaper ..